>How Snap’s Spectacles let you see experiences through a different lens. 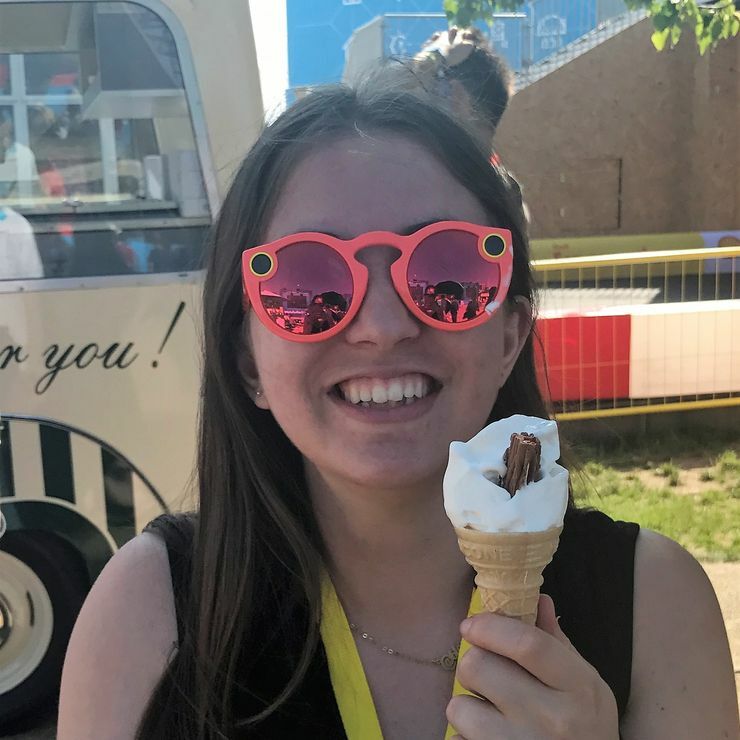 Junior Marketing Strategist, Caitlin Kobrak wrote an article for George P. Johnson UK on using Snapchat Spectacles for live experiences. Snapchat has successfully pioneered temporary social sharing. Allowing advertisers, brands, social media influencers, and everyday users to share specific stories for just 24 hours, directly to an engaged audience who’ve actively chosen to see it. With over 10 million, and rising, daily users in the UK, and 100 million daily users globally - we know there is an engaged audience using this type of social sharing. You might question the benefit of investing time and energy into creating content that is only viewable for a short time. But, when live experiences are all about creating unique moments - shouldn’t that same mentality influence the Marketing? At GPJ, we focus our social media as much on our remote attendee as we do for those participating in person, because we are constantly looking to increase audiences at the event and online. This is why after the launch of Snapchat Spectacles, we saw an opportunity to create content which extends far beyond the confines of one social platform. We all, as Humans, enjoy a good story which is why it is an integral part of every experience we create, but this doesn’t always translate into the social marketing of an event – instead it’s seen as secondary to pushing specific messages such as ‘register for the event now’. With Spectacles, we’re able to put the viewer, wherever they are, into our event story. Filming at eye level, and without the need to hold anything, Spectacles gives an unobstructed first-hand perspective of the story as it develops. This can mean, for example, sharing with remote viewers the exact experience they would see if attending the event live, giving them a sneak preview of the program or behind the scenes set-up. It is just like carrying a 360-camera rig around with you, or strapping a GoPro onto a harness – except all you do is put on a pair of sunglasses. Because the main objective of Spectacles is to allow social sharing ‘live in the moment’ it can capture a whole range of moments that cannot be planned – such as different views of a goal at a football match. Spectacles and their wearers offer more unique insights at a live event than traditional video capture. Spectacles are a simple and cost-effective way to document a live experience and allows a remote audience to see what they are missing by not attending live. And no one likes FOMO! Costing just £130, it offers a low barrier of entry to the world of video, coupled with the ability to put the viewer in the centre of the story. You are also able to share across all your other social channels, and extend beyond just the audience you have on Snapchat. The objective and purpose behind why Snapchat created Spectacles has created benefits currently missed by other types of camera hardware. Without the need for expensive mounts, holders and editing software, they enable users to spontaneously capture and share their experience and perspective at events. Spectacles has established a simple route to create first-person visual storytelling, and if that’s not enough, you look great wearing them!